All the poles that I have seen are made from wood. Must they be made from wood or can any materials whatsoever, be used? If not, what factors would restrict the materials allowed? Do the poles need to be a minimum or maximum height and thickness? Is there a minimum distance between the ends of the parchment / writing on both sides of the Torah scroll that these poles must be placed? Does the parchment need to be sewed into the wood or can it be glued, tacked, or stapled? Fee free to add any other halachot that may be appropriate. Most importantly, if there is a condensed source dealing with all the laws, please refer and / or link. It seems that any material is allowed, as none is specified. However, I suspect that wood is usually used, in tribute to the verse (Mishlei 3:18) עֵץ חַיִּים הִיא לַמַּחֲזִיקִים בָּהּ - and they are typically called the עצי חיים. Yes. Two fingers between the end of the writing and the part wrapped around the pole. Must be sewn - preferably with Gidin (sinews), like the rest of the Sefer Torah, but in a pinch silk (or other threads) can be used, temporarily. Gluing it is forbidden as it can dry with age and fall off, but in emergency some allow it as a temporary solution. Stapling or tacking it on would be like using silk, I imagine, and can be temporarily used in emergency. Not the answer you're looking for? 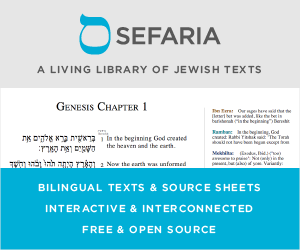 Browse other questions tagged halacha sefer-torah . What are the halachot when finding a Sefer Torah on the floor? What is the appropriate method for transporting a Torah scroll? In what relative positions are multiple Sifrei Torah placed on the bimah? Is there an online resource that gives an “overview” of safrut? Are there any mentions of Torah Scrolls before Ezra? Are any communities using Sifrei Torah without “rollers”?